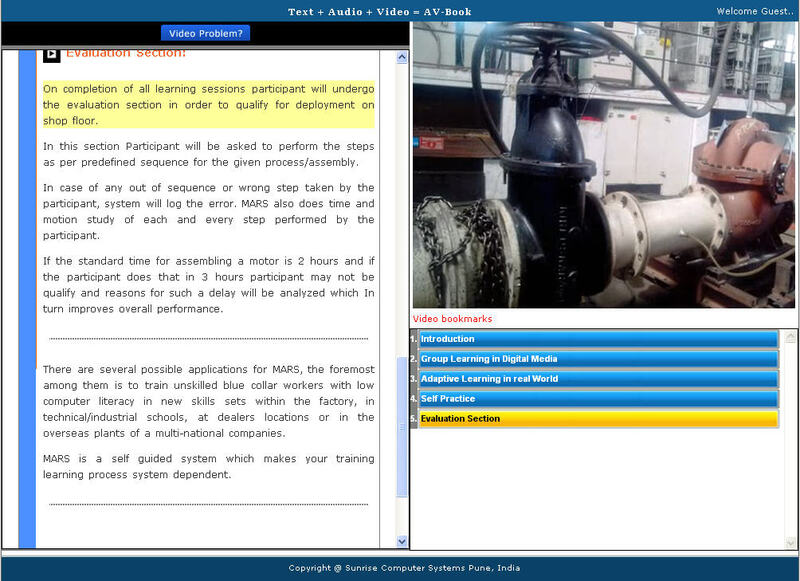 Sunrise proudly presents a unique solution to improve efficiency and effectiveness of training exercises within the organization with the use of our e-learning platform “Maharishi Learning System (MLS)” hosted on www.myguruonweb.com. This solution has been designed and developed by dedicated team of qualified and experienced software professionals and domain experts. Improves training efficiency and effectiveness as compared to the traditional method of delivery. Makes training process system dependent instead of faculty dependent. Highly flexible to support an individual learner’s preferred philosophy of learning process. One point update facility is available which provides great comfort in content management and update. Wide adoption of state of the art visual communication services which offers freedom in learning. Videos can be dubbed in different languages. Learn from videos by viewing on-demand video through Internet or Local Area Network (LAN) following a Client-Server approach. Catalogue all videos by respective category, sub-category, subject, and language. Separate learning modules for improving speaking as well as listening skills of learner apart from a comprehensive English learning module. 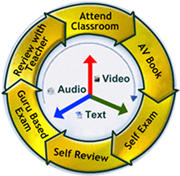 Facility to record and upload learners own voice and then receive guru’s feedback online. 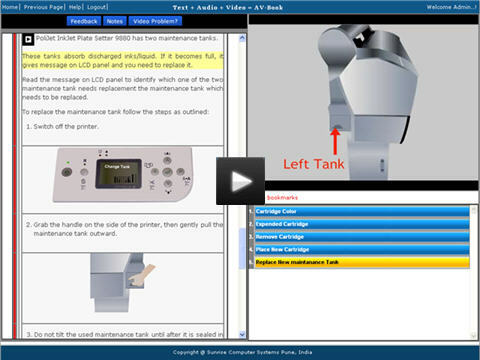 MLS provides for a highly accurate and efficient batch assessment module. Provides great relief to the faculty by simplifying the tedious and complex process of setting questions for examination and evaluation. Faculty friendly approach for setting up a time bound Guru based exam for the group. Evaluation matrix assists faculty to identify reinforcement aspects, thus to explain only the areas which participants don’t know and skip what they already know. Guru will focus on those questions which most of the batch is not able to answer correctly. Very useful for setting student friendly pace in the class room. Very helpful in Capacity building and HR recruitment /promotion exercise. Ability to upload questions from Excel spreadsheet. Provision to accommodate answers for descriptive questions. It provides facility to the user for creating one’s own question bank and practice exam for self evaluation. Participant can analyze his/her own performance and identify their weaknesses. Participant can take practice test any number of times for self assessment. Various types of practice tests are Text Based, IQ, Listening and Speaking. 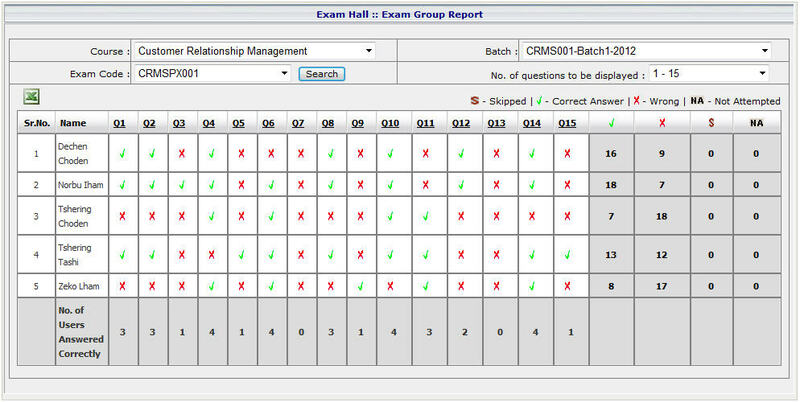 Participant can view his report of practice test as well as guru based batch exam. Both these solutions have the provision to restart incomplete exam in case of any hardware / software problem. All exams are stored for future reference and monitoring purpose. Feedback can be collected daily, at middle of session and at the end of each session for the respective faculty. Very useful in monitoring faculty as well as participant feedback. Daily feedback allows immediate correction and participant who has given a low feedback can be contacted and their problem can be addressed immediately. Systematic feedback reflects the training quality and helps to identify weakness on time so that it can be resolved within the ongoing process instead of post completion of the activity. Each faculty may also view his/her feedback report generated from the student feedbacks for self assessment and improvement. The feedback mechanism is customizable as per the requirements of user. Admin can define the feedback parameters with the weight-age to be allocated for each parameter. 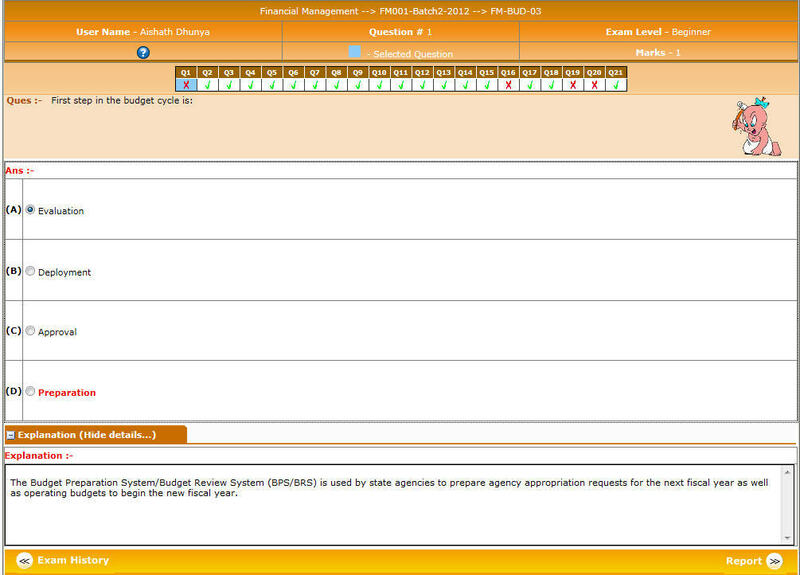 Feedback matrix allows the management to review the consolidated information on batch level.